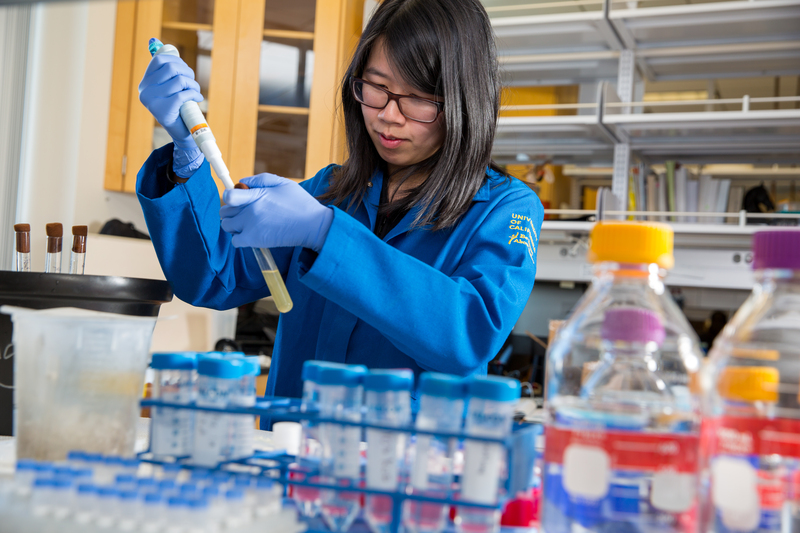 Each UCI School of Biological Sciences doctoral program offers focused training and has specific course requirements to prepare students for careers in bioscience research in their area of specialization. While the specifics are customized at the home area level, there is excellent flexibility in academic coursework. 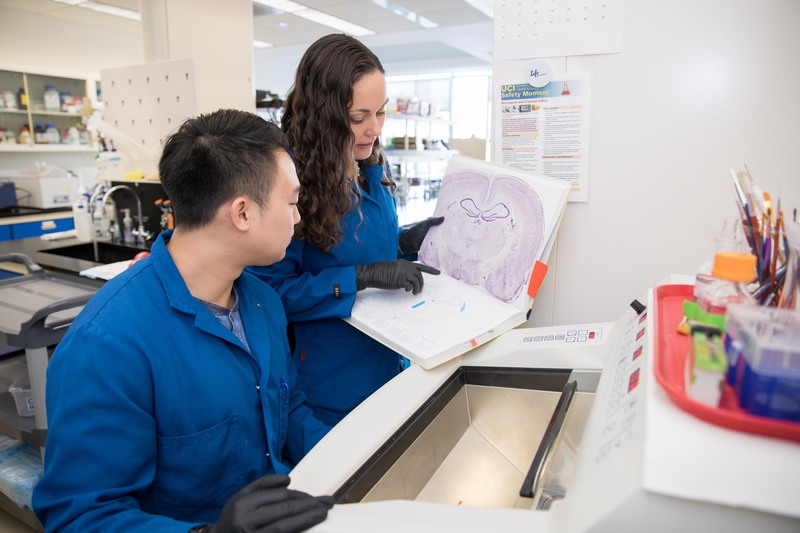 Several of our programs operate as gateway programs that offer admission in broad areas of research such as Cellular and Molecular Biosciences or Neuroscience. During the first or gateway year as a BioSci graduate student, participants are required to complete academic coursework in small classroom settings that include analysis and discussion of primary literature to develop critical thinking skills. At the end of the first year, gateway students transfer to the graduate program of their thesis advisor to complete the degree requirements of that program. These include taking additional academic courses, participation in journal clubs and seminar, and support for their Research in Progress presentations. Students complete the Advancement to Candidacy Exam at the end of their third year, when they are expected to have identified an important and tractable thesis research topic. The next several years focus on developing research skills and publishing thesis research in preparation for their dissertation and transition to the next phase of their professional career. All doctoral students making satisfactory progress toward their degrees receive full financial support including a competitive stipend, full tuition, non-resident tuition, health insurance, and student services fees. UCI and the School of Biological Sciences have extensive programs in professional development. Our GPS-Biomed program that is funded by a grant from the NIH-BEST program. Students are encouraged to present and publish their research in preparation for their thesis defense and, ultimately, the transition to the next phase of their career. UCI has extensive resources that support submission of extramural fellowships. The School of Biological Sciences and the UCI Graduate Division offer workshops on preparation of competitive fellowship proposals, and BioSci graduate students have been especially successful in competition for the NSF Graduate Research Fellowship, NIH Ruth Kirchstein/F-31, and private foundation awards. Students in the doctoral programs experience a collegial and collaborative research environment in a diverse and inclusive atmosphere. 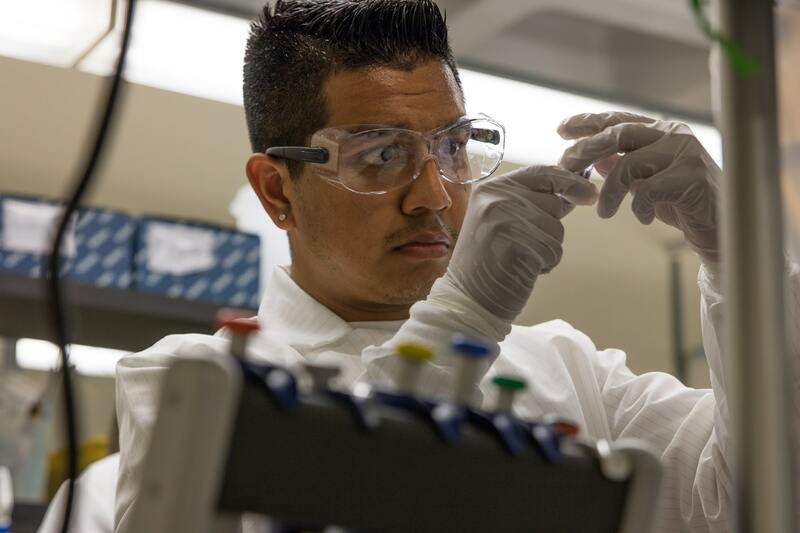 UCI has been identified to be a Hispanic Serving Institution, and School of Biological Sciences has a proud record of recruitment and retention of women and underrepresented minorities in our doctoral programs.